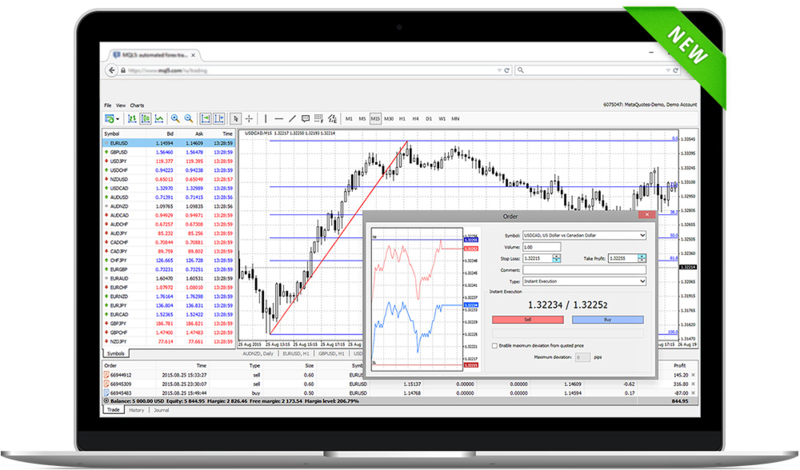 MetaTrader 4 (MT4) Desktop is one of Amana Capital ultimate solutions for online trading, technical analysis, and automated trading (EAs: Expert Advisors). MetaTrader 4 (MT4), is an easy to use electronic trading platform widely used by traders worldwide. MetaTrader 4 (MT4) has a user-friendly and understandable interface that allows traders to view their orders, trades, account details as well as use advanced technical analysis tools to analyze the financial markets. To have access to trading wherever you are, Amana Capital offers you the MT4 Web Trader that allows you to trade online without having to download any platform. MT4 Web Trader is also a good solution for MAC users to trade online. The web trader has the same functionalities of the downloadable MT4 application. It is also user-friendly, attractive and includes features such as charting and indicators, in addition to an easy management of orders. To access your account through Web Trader, click here, enter your username and password and select your account’s type. Trade from anywhere and anytime! At AFS you are able to trade your live or demo account on the move from your mobile and tablet devices. Our mobile trading application keeps you updated with the latest real-time quotes and allow you to quickly place orders, see open positions plotted on live charts, monitor account information, easily access reporting and lots of other features. 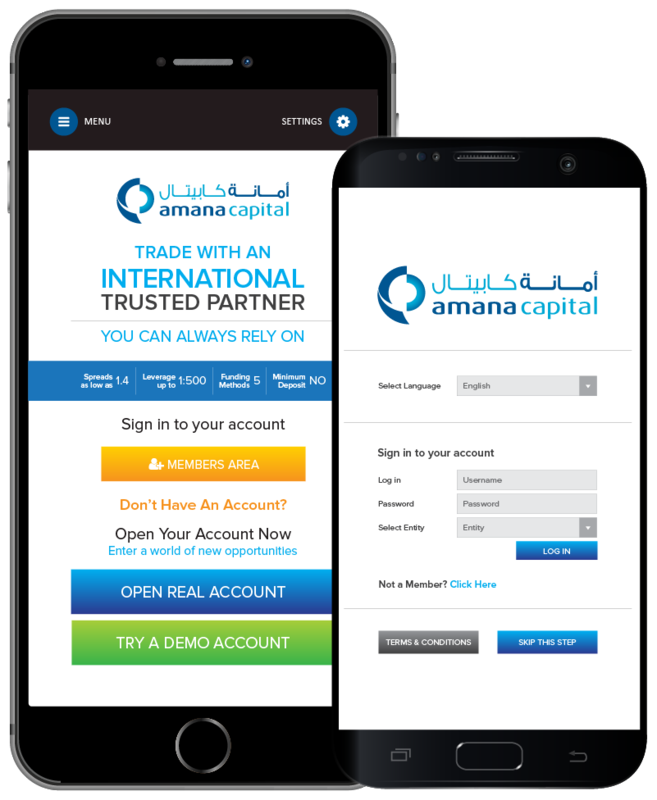 The Amana Capital MetaTrader 4 for Mobile & Tablets is fully compatible with the major operating systems. Full management of trade account. Work from any location in the world. Complete control over a trading account. Possibility to work from anywhere. Wide range of smartphones and tablet PCs. View real-time quotes, initiate new positions, manage/modify open positions, and check the status of pending order. View Account Balances, Equity, Margin, Free Margin, Margin Level, P&L, and more. Stay updated with all the breaking financial news even when on the move. Execute market orders or choose from a selection of order types. View charts with multiple time frames. Intuitive and easy-to-use trading interface. Are you having a hard time managing several trading accounts? 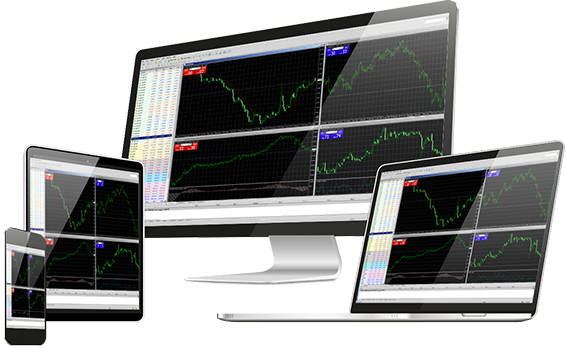 MetaTrader 4 Multi-Terminal is the ideal solution for you. Amana Capital MT4 Multi-terminal allows you to manage several trading accounts through a single platform. Your MT4 Multi-terminal gives you a list of tools you need for managing all your accounts in one and at the same time! The ability to trade block orders from a single main account. No restrictions on managed accounts number (number of clients). Different types of orders allocation methods (Proportional, Percentage or by Lot size). The ability to manage more than one master account with different setups and trading strategies. The availability of all the regular order types that are usually available on MetaTrader 4 (MT4) (Limit, Market, Stop, Trailing Stop, etc...). The ability to trade using Expert Advisors (EAs) or algorithmic trading. The ability to easily manage and generate detailed trading reports. MetaTrader 4 Multi-Terminal requires Windows XP, or newer versions. Stay updated with the latest market happenings and manage your trading account anywhere anytime. 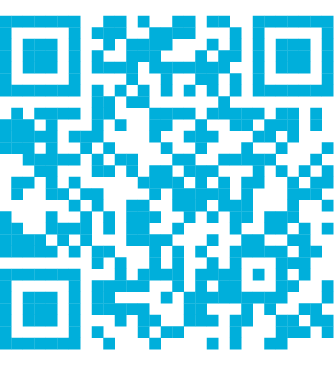 Download Amana's Mobile Application especially customized for all mobiles working on iOS and Android. Don’t allow distance or time to distract you from your goals!